Exciting news out of Barcelona! You can now add another stop to the list of Antoni Gaudi buildings to visit. 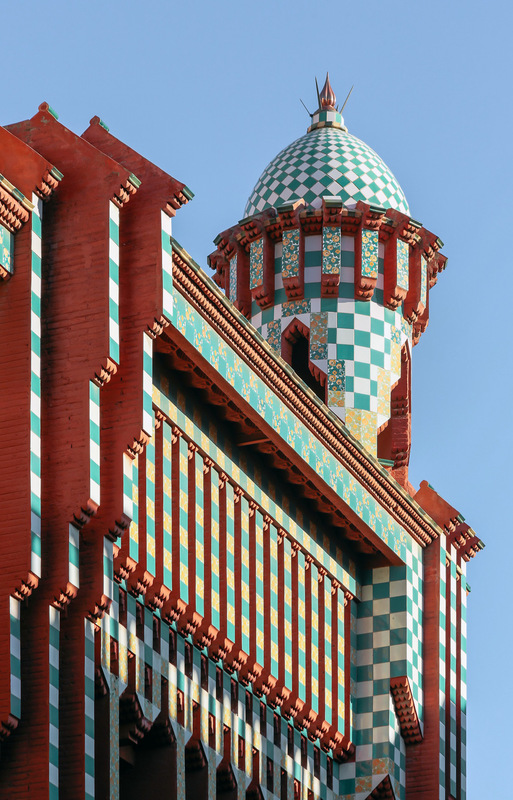 After years of repairs, Casa Vicens, the first house designed by the city’s defining architect, has opened to the public for the first time. CASA VICENS Carrer de les Carolines, 20-26, Barcelona, http://www.casavicens.org. Open daily excluding major holidays. General admission is $19; for people 65 and older, students under 25, and children 7 to 18, admission is $16.50. Children under 7 are free. I could write that I “lost a friend” recently. But Judy isn’t gone. She’s not alive, this is true. But she’s with me and all the people she connected with in ways small and large. I see her in the sky and in the earth, when the flowers bloom and when those blossoms fade and decay. Judy soaked up everything in the natural world, through thoughts, writing and actions. I imagined her there, in her little house in Durham, N.C., with her hand pressing the grass, feeling the earth. It made me think of the times, while hiking or walking, I would stop to touch moss or lichen and maybe a lovely piece of bark or a satiny blossom. I understand that need to feel, to caress. Few people I’ve encountered embrace humanism and nature the way Judy did, even while battling cancer. Few people I’ve encountered are OK with saying, I don’t believe in God. I worship what is here and now, in front of me and natural. Beauty everywhere. Amen. I was reading some emails Judy sent me over the past few years, since I moved from Durham to the Netherlands. She was the person in Durham I kept in closest touch with. In the course of relating some interpersonal stories, she called someone “batsy,” which is the most negative I’ve ever heard her talk about another person (politics excluded). That’s as low as Judy goes. I love that. I was planning to stay in Judy’s spare room in August, though we knew that was becoming unlikelier by the week. Instead I’ll drive by her little house, I suppose cleared out by then, and see where she physically left this life. I’ll meet with a friend of hers I’ve never met and hear details about the gathering for Judy that I missed in July. Judy’s death did not make me appreciate her more. I’ve been filled with appreciation for her specialness for a long time. What her death did was allow me to ponder how I can instill more Judy-ness into my life. I could say this is to honor Judy, but it’s really for me, to allow myself to be closer to the way I want to be. That’s Judy’s gift – the ultimate in paying it forward – inspiring those of us she touched to look into ourselves, to feel the grass, whatever that might mean to us. With gratitude and love, my dear friend. 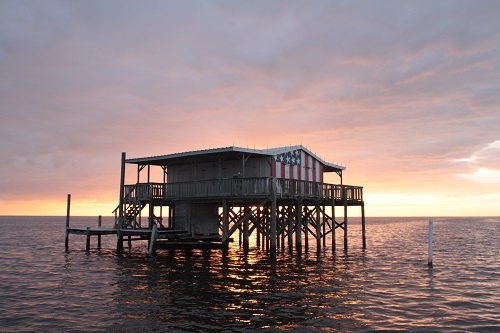 I’ve known about the stilt houses in Pasco County, Fla., for years, but didn’t write about them because they were hidden in plain sight — no one but locals knew. Sometimes it’s nice to keep special spots on the down-low. But once I started seeing a few mentions here and there, it was time to spread the good word on these lovely vestiges of old Florida. So I wrote about them for VisitFlorida.com. The article also contains information on how to access them via boat. 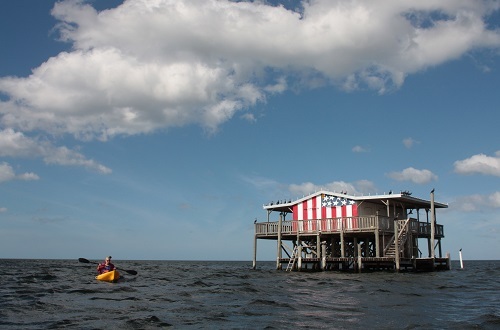 Alas, you cannot enter or stay on one unless you’re invited by an owner, but just seeing them dotting the Gulf of Mexico is something special indeed. Don’t you think? 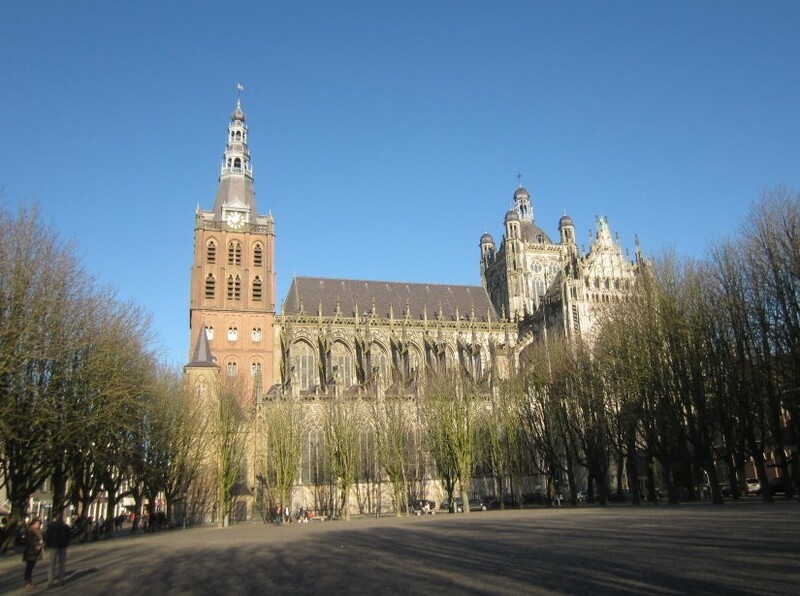 One of our favorite places to take visitors is the charming Dutch city of ‘s-Hertogenbosch, locally known as the much-easier-to-pronounce Den Bosch. 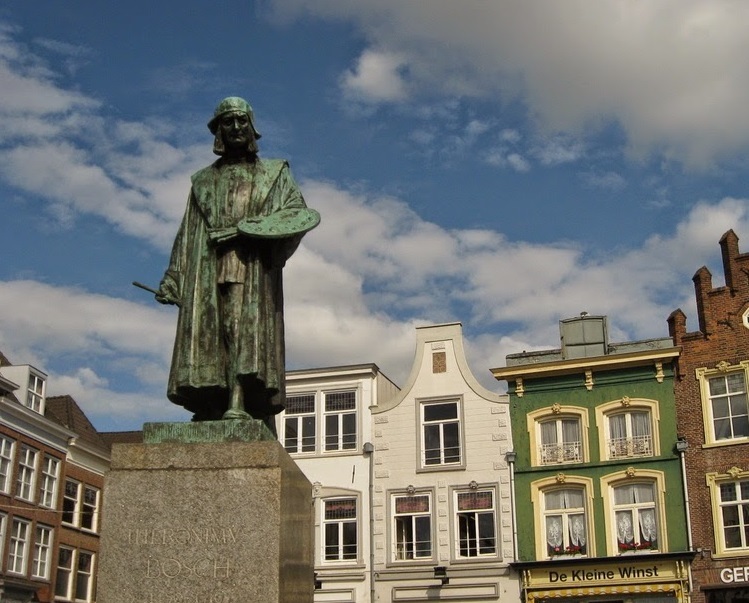 This year is HUGE for Den Bosch, as it celebrates the virtual return of its native son, famed medieval painter Hieronymus Bosch, who died 500 years ago. Though the city isn’t fortunate enough to own any of the artist’s paintings, this year it will present the largest retrospective of Bosch’s work ever, with all the pieces on loan from several leading museums. “Jheronimus Bosch – Visions of a Genius,” displaying 20 paintings and 19 drawings, runs from Feb. 13 to May 8 at Het Noordbrabants Museum. In addition, seven other museums in the province of North Brabant will present complementary shows. Timed tickets are already on sale, and the museum has expanded its opening hours. But, wait, there’s more. In its elegant baroque center and along its small canal system, Den Bosch is pulling out all stops for visitors, with special events throughout the year, including nightly light shows on the market square, projected 3-D images of diabolical Bosch characters, themed tours of the canals, and rare climbs outside Saint John’s Cathedral, which is covered with fantastical gargoyles and sculptures. I hope to do one of those climbs myself, as soon as they’re available. Can’t wait! Lina’s friends convinced us that we simply HAD to go to Oerol, one of the coolest performances festivals in the world. They’ve gone every year for a long time. 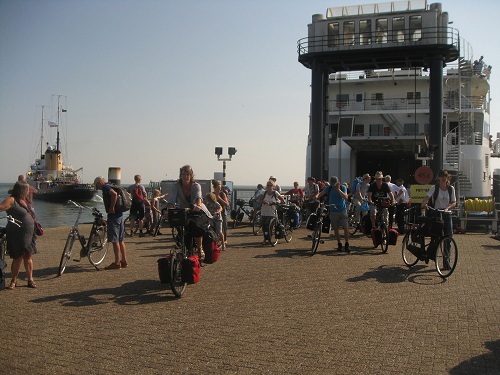 Oerol is held every June on the gorgeous island of Terschelling, north of Amsterdam. The environment becomes part of the setting for theater, dance, and installations and more. As a destination alone, Terschelling is very special. With Oerol, it is pure magic. Here’s the story I wrote about it for the Washington Post, along with some great images from Lina. 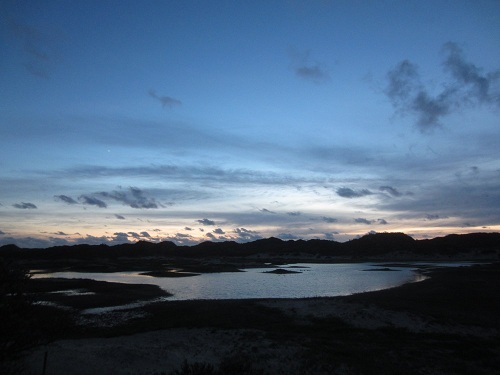 It was nearing 10:30 at night on Terschelling, but still not dark as my wife and I cycled through rippling sand dunes, their colors gradually muted by the fading light. Wild rabbits, a frequent sight on this largely undeveloped island in the Wadden Sea, hopped here and there, sometimes darting across our trail. A steady wind pushed us forward, blessedly, payback for earlier head winds – what bicyclists call “Dutch hills.” Atop the highest dune, a few hundred yards in the distance, we saw the silhouettes of a person and a dog. Only as we neared town and signs of civilization did we have to finally click on our bike lights, giving warning to the few people passing in the other direction. We’d been nearly alone until we reached a main road. I’d visited Terschelling, part of a barrierisland chain north of Amsterdam, before, and been captivated by its vast, windswept beaches, empty dunes and more than 170 crisscrossing miles of nearly empty cycling and walking trails, which seems an impossible tally for one of Europe’s most densely populated countries. But this time was different. Selina and I had signed up for five days of performances at the 10-day arts gathering called Oerol. (Say “OO-ral” and you’re close enough.) Every June, some 50,000 visitors of all ages arrive by the boatload, literally, to view theater, dance, performance art, live music, installations or simply partake in the communal vibe. Oerol, the word meaning “all over” in the local Frisian dialect, stages professional performances throughout the island – on the street, in barns and, most memorably, in woods, fields, dunes and on the beach. The festival exemplifies site-specific theater, where art and environment meld, each illuminating the other. I had been concerned about the crowds on an island measuring 18 miles long and 2.5 miles wide and with a year-round population of 4,800. Would the Oerol faithful overrun the place, ruining my fond memories? As it turned out, not at all. Save for the main thoroughfares and gathering spots, not only did Terschelling retain its sense of otherworldliness, the arts events took me to pockets of the island I probably wouldn’t have explored on my own. We had pre-ordered tickets for a handful of performances, because many sell out. I had the advantage of a Dutch spouse who could research the offerings, but the program also includes summaries in English and handily notes the best options for non-Dutch speakers. By happenstance, we had chosen to stay in a rental cabin strategically situated just outside Midsland, the charming historic village in the middle of the island where Oerol got its start. In 1982, Joop Mulder, then-owner of the still-hopping Cafe de Stoep and now the festival’s artistic director, held the first event on a much smaller scale. 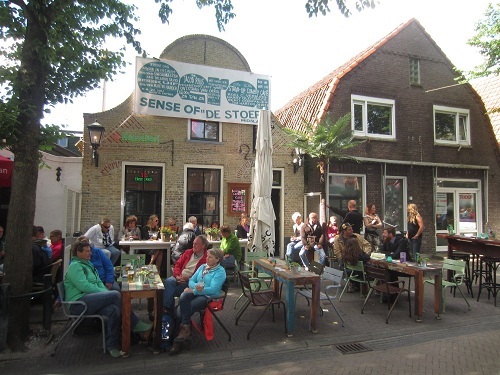 During Oerol and the regular tourist season, from late spring to mid-fall, both Midsland and the harbor town of West Terschelling, about four miles west, are lively, their streets filled with visitors who pour into the many shops, restaurants and cafes. During the festival, both locations also house rollicking gated-off areas where wristband-wearers can eat, drink, view art, watch bands, buy tickets and compare notes. On paper, the plan for Kazerne must have sounded pie-in-the-sky: renovate a beat-up, cavernous building in the center of Eindhoven, a southern Dutch city in the midst of a reawakening. 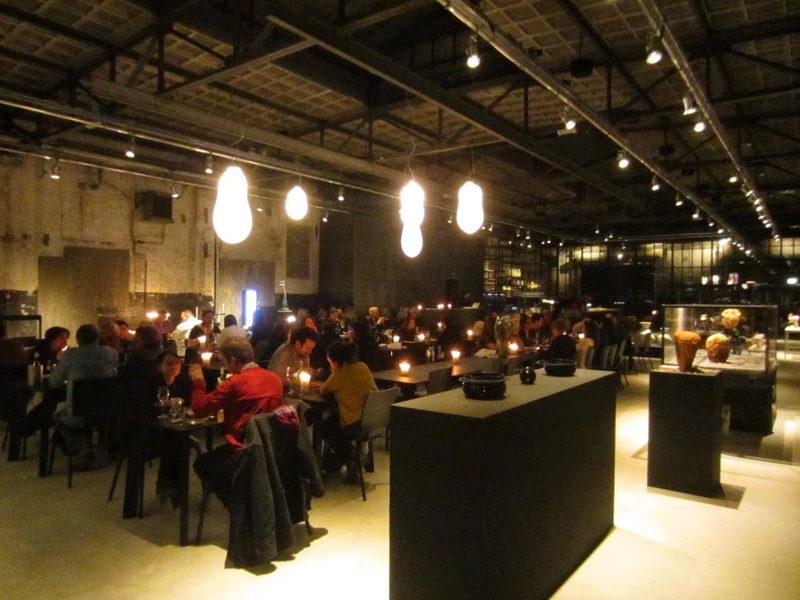 Transform it into a restaurant-slash-showcase for design and technology. Throw in meeting spaces, a design shop and lodging. 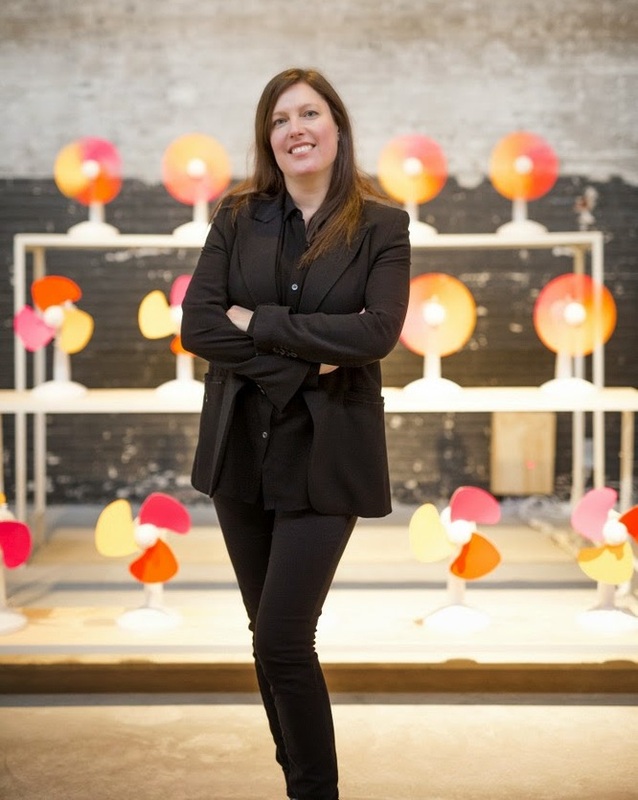 The idealists behind Kazerne are the designer Annemoon Geurts and her partner Koen Rijnbeek. 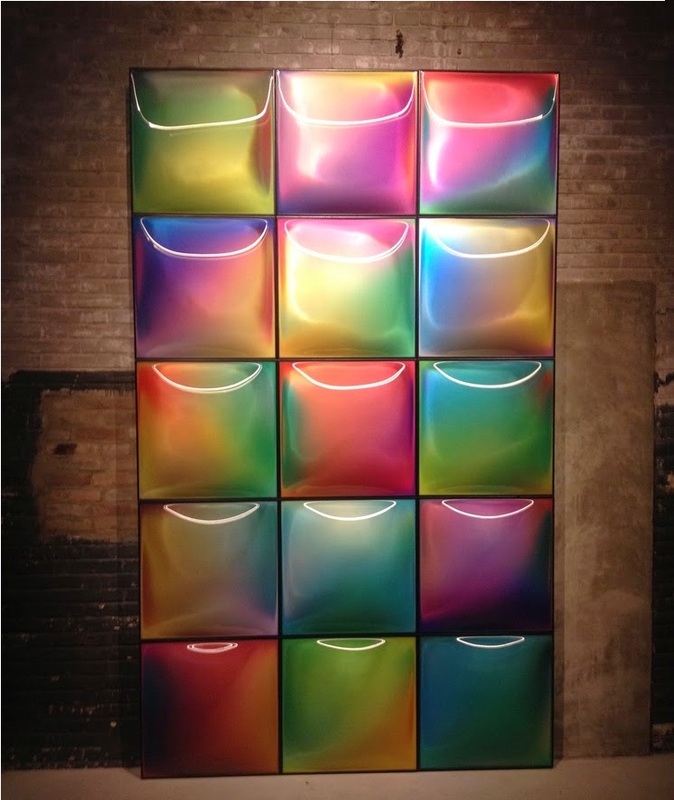 Like many of the designers whose work Ms. Geurts spotlights, she graduated from Design Academy Eindhoven. 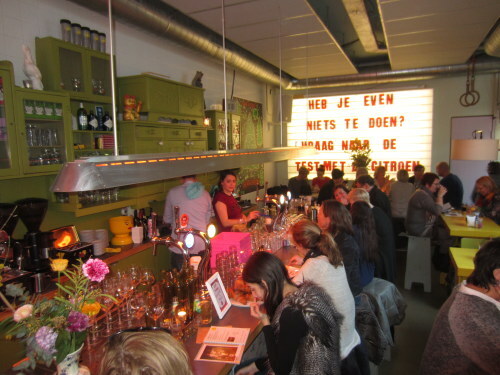 The idea emerged from a pop-up restaurant they ran during Dutch Design Week. Layers is more like it. The art enveloping Kazerne’s diners ranges from kinetic sculpture to mesmerizing lighting in exhibits rotating every few months. With such emphasis on design, I feared that the food would be an afterthought. Not so. The Mediterranean-influenced menu from Roger van de Loo, the chef, changes weekly (atypical in these parts), offering four starters and main dishes. During a recent visit, we began with a crisp cold octopus, eggplant and tomato salad and a hefty portion of beef pastrami with a zesty tomato chutney. Enticed by aromas from a neighboring table, I ordered the eggplant Parmesan, which was flavorful and not too cheesy, while my partner dug into a healthy portion of spicy chopped lamb, accompanied by basil mashed potatoes and crunchy asparagus. Kazerne, Paradijslaan 2-8; 31 40-30-41-388; kazerne.com. An average meal for two, without drinks or tip, is about $80. One of my favorite things is spreading the word in high-profile publications about people, services, and destinations I think contribute something positive to the world. 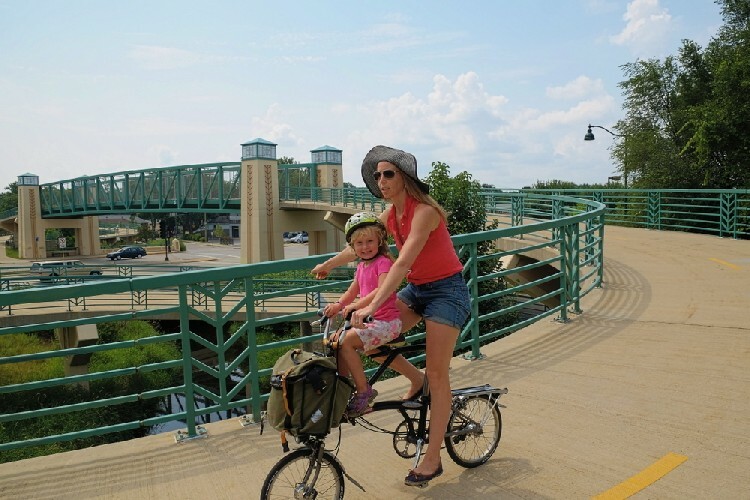 Here’s one of them, about Bikabout, a wonderful cycling-centric service for travelers founded by cycling enthusiast and tireless advocate Megan Ramey. A small article ran in the New York Times May 17. Here’s my original version, which includes a few more details. Happy pedaling! Megan Ramey’s first bike-related vacation with her husband and their daughter, now 5, partly inspired her to start Bikabout, an online travel resource for everything bicycling, with information on bike-friendly lodging, traveling with bikes, renting them, and where to ride them around town along with tips on culture, etiquette and safety. The site, which launched last year, is this spring rolling out new guides on Washington and New York City, soon to be followed by Atlanta, Milwaukee, San Diego, Los Angeles, and San Francisco, adding to the 13 cities already available. The downloadable homegrown local rides, provided by Bikabout “ambassadors,” have proven to be the most popular part of the service, she said. For example, the 7-mile East Van Brewery Tour in Vancouver visits six craft breweries and a few food stops, while the 13-mile Charleston (S.C.) Coastal See Food Tour includes key dining spots and expansive water views. Ramey also has partnered with several Kimpton Hotels, including those in D.C., and will supply them with themed routes starting from each location to give guests. Lina and I spent last Saturday researching and photographing a story about ‘s-Hertogenbosch. Say whuh? I know, the name is so crazy that even the Dutch use the colloquial Den Bosch. Phew. Den Bosch is one of those off-the-beaten- path towns popular with Dutch day-trippers and virtually unknown by the average tourist. In short, our kind of place! An amazing bonus: it was sunny! Cold, yes, but the rare blue skies made up for it. The other exciting Den Bosch additions are the Jheronimus Bosch Art Center, in praise of Den Bosch’s famous native son, whose 500th “death-day” they’re honoring in big ways all of 2016; and the new contemporary art museum, The Stedelijk, not associated with the one of the same name in Amsterdam. It focuses on jewelry and glass and has an outstanding gift shop, down to its walls and displays of wavy wood. 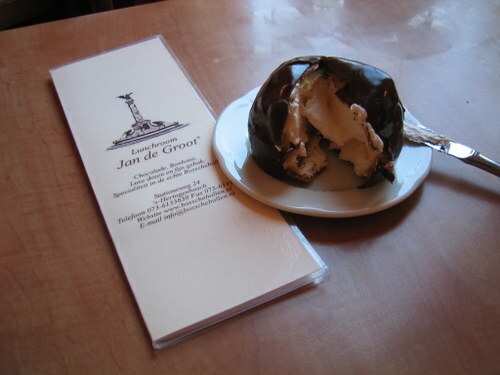 Treat yourself to a famed ”Bossche Bol,” a puff pastry filled with fresh whipped cream and dipped in dark chocolate. Take a canal tour (March to October). The canals here are special because they’re below the buildings and you’ll ride through tunnels, some with artful arches. 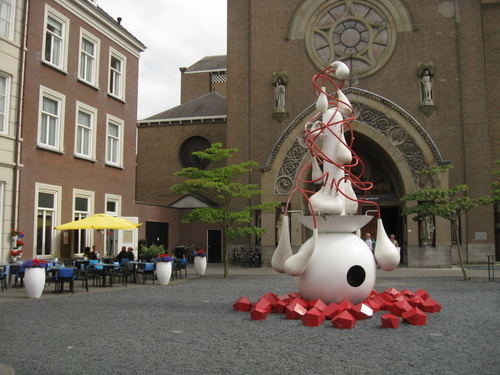 Visit the Stedelijk and the adjacent Noordbrabants Museum, and also the Bosch center. Make sure you’re at the latter on the hour to see the astronomical clock in action. 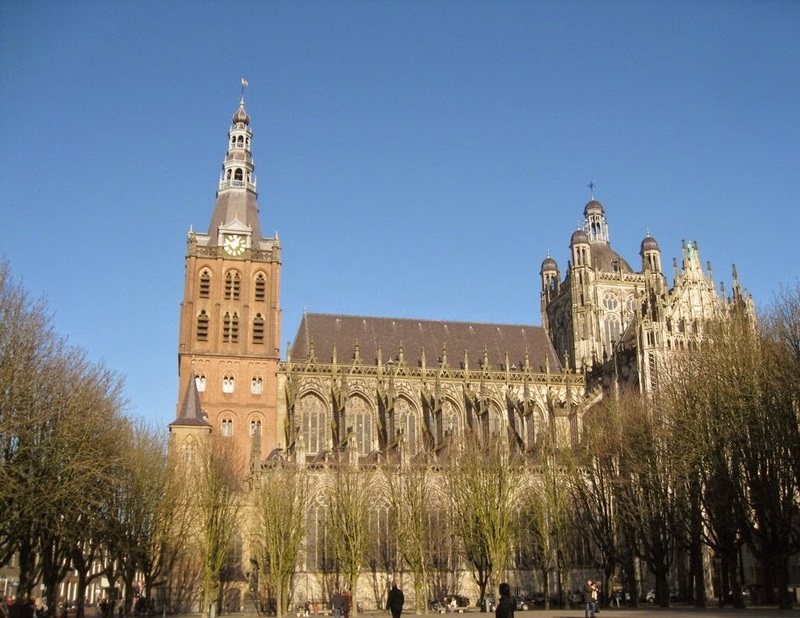 Visit the city’s pride and joy, St. John’s Cathedral, one of the best known churches in the Netherlands. It was built between 1380 and 1530 and shows off 600 statues inside and out. Just gorgeous. If you’re up for climbing 218 steps, take a tour of the bell tower for a stellar view of the city. Along with those helpful hints, do the usual: Shop. Bop. Eat. Drink. Eet smakelijk en proost! Small-ship cruise expert AdventureSmith Explorations has added a historic yacht to its inventory of ships exploring the Baja Peninsula. A new 10-day Baja adventure will be based aboard the 86-foot, historic eight-guest adventure yacht Westward, launched in 1924 as the flagship of the Alaska Coast Hunting and Cruising Co.
Westward Voyages in the Sea of Cortez spends seven days in January and February cruising in the Sea of Cortez, with three days watching gray whales based from Kuyimita Tent Camp adjacent to San Ignacio Lagoon Whale Sanctuary. Each stateroom in the non-air-conditioned ship has three portholes that open, and guests and crew gather on the 17-by-14-foot shaded back deck for meals and conversation. Westward is listed with the US National Register of Historic Places and remains powered by its original Atlas-Imperial diesel engine. Modeled after a salmon cannery tender, the ship served a noteworthy clientele of hunters and fishermen for nearly 20 years, including Bing Crosby, Walt Disney and John Wayne. 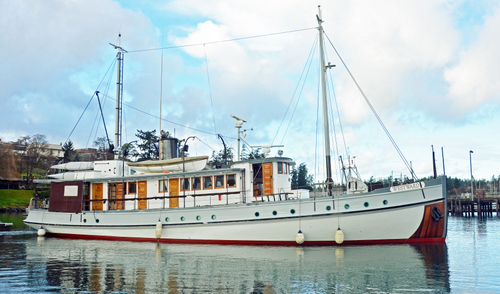 During World War II, it served as a patrol boat off the California coast before returning to the Pacific Northwest. The per person double rate for the Westward trip is $5,750. AdventureSmith runs other Baja cruise programs on ships for up to 84 guests. Additional options include two eight-day whale watching cruises from January to March on a variety of small ships. Rates are from $2,995 per person, double, aboard the 84-guest Safari Endeavor and $5,990 per person, double, aboard the 62-guest National Geographic Sea Lion and Sea Bird. Additional cruise programs for up to 15 days are also offered in this region. 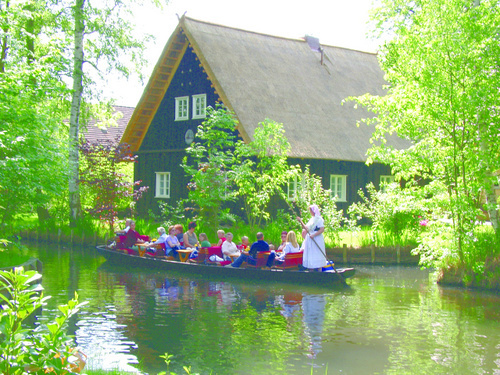 The tour includes a boat trip in Spreewald. Photo by VBT Bicycling and Walking Vacations. 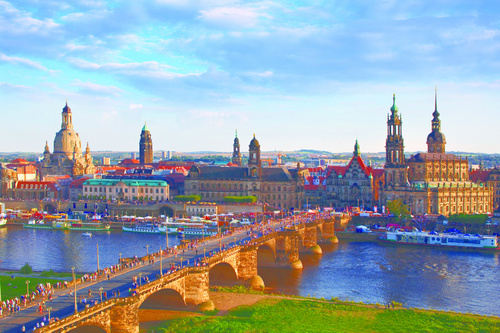 “Berlin to Dresden: Hidden Gems of Eastern Germany,” a new trip for 2015 from VBT Bicycling and Walking Vacations, features connections with local residents, a lesson in sauerkraut making, and wine sampling at a local vineyard. Bicycling routes follow easy terrain with optional rolling hills. Stops along the way include the landscaped gardens of Potsdam’s world-famous Sanssouci Park and palace; the lush wetlands and tranquil waterways of the Spreewald, a UNESCO biosphere reserve; a visit to the 300-year-old Meissen porcelain factory to learn how the dishware is made; and a trip to the sandstone peaks of the Bastei, in Saxon Switzerland National Park. The trip concludes with a walking tour of Dresden. 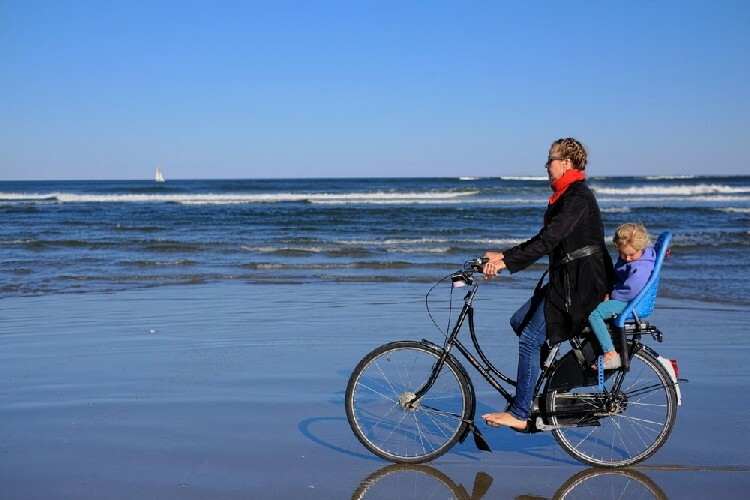 Photo by VBT Bicycling and Walking Vacations. Riders will having several opportunities to speak with local East Germans, including dining with a family on their cucumber farm, where a generations-old gherkin pickling business is run that was originally under the control of the East German state under communism and then purchased back after the fall of the Berlin Wall 25 years ago. The tour concludes in the cultural capital of Dresden, which travelers will explore on a walking tour. This 10-day itinerary starts at $3,745 including international airfare, with a $200 discount for reservations made by Oct. 15. Add-ons include a pre-trip to Berlin and a post-trip to Prague.